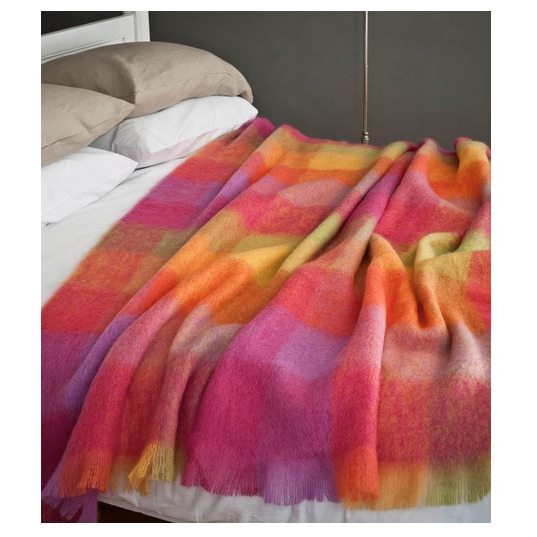 Beautiful mohair blend throws with Avoca's unmistakable signature and homespun feel. Mohair throws from Southern Ireland - woven by Avoca in their family run business at the bottom of the Wicklow Mountains originating in 1723. Beautiful colors and very soft. Avoca products are still hand woven at the original mill in the picturesque village of Avoca, County Wicklow. The same skills and experience are still used to prepare the yarns and setting up the looms, perfecting each warp and weave, trusting hand and eye to deliver the quality the Avoca name assures.